How To Make EVERY Holiday More Fun! We all have traditions for the “biggie” holidays—you know, Christmas, Easter, Thanksgiving, etc. But if you ask me, the so-called “little” holidays can be even more enjoyable than the big ones. Why? Because you can establish family traditions and have a good time—without any of the attached stress that often comes with the big days. Here are some ideas for having a lot of fun on a “little” holiday! 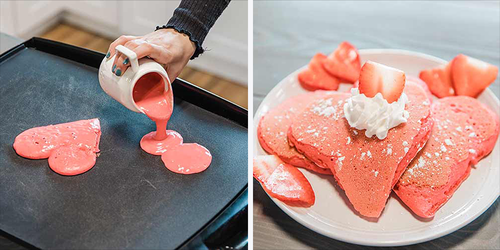 Make Valentine's Day Pancakes by adding red food coloring to your pancake batter, and then shaping them like a heart as you pour it. You'll be surprised at how much more fun breakfast is when you break the mold a little bit! Independence Day is one of my very favorite holidays, but…it’s in July. Thankfully, President’s Day is a great excuse for a wintertime patriotic party! 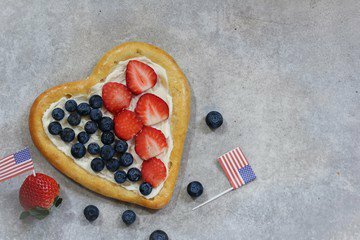 So grab your July decorations, break out the—well, if not the band, some good ol’ patriotic music—and make some fun and festive food, like this President’s Day dessert pizza. Three cheers for the red, white, and blue! While you're at it, maybe check out our Stars and Stripes pajama sets for some added patriotic pizzazz! 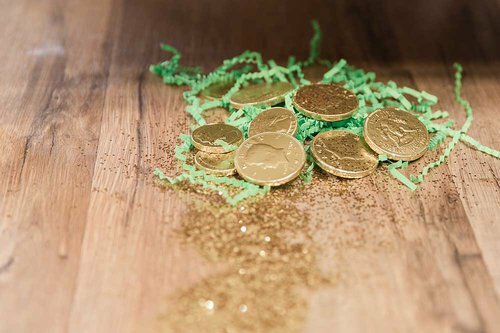 I’ve never been one to enjoy pranking (unless you count that April Fool’s Day I put goldfish in my grandparents’ toilet—that was priceless). And my family didn’t really get into April Fool’s Day. But one fun idea is to have an April Fool’s dinner. 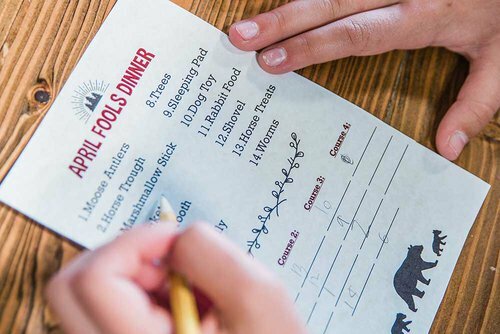 Create a list of menu items that are silly code names, and let your family members order from the menu without knowing what they are ordering. Even the silverware is part of the menu, so one kid might get a fork, spoon, and toothpick for the first course while another kid gets potatoes, Jell-O, and a drink (and have to eat them with their hands)! Add another element of fun by offering at least one unusual menu item—like tongue, caviar, frog legs and more! A lot of fun can be had at a dinner like that, and that’s no joke! Here is a link to a sample menu that you can use to get started! We love Memorial Day. Yes, it’s a day off and we hang out as a family, planting our garden and enjoying a barbecue. But first, we hit the cemeteries to decorate the graves of our ancestors and I love that—especially when I get to see extended family there! It’s great to hear the stories of those who have gone before me and reestablish that connection. My family heritage is priceless to me, and I love remembering the ancestors I knew and learning about the ones I didn’t know. 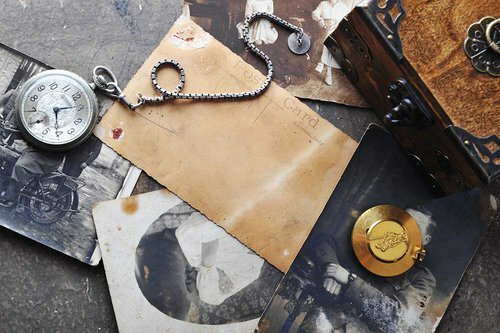 If you don’t live close to where your relatives are buried, then dust off the family photo albums, swap some stories, and take time to remember why it’s called Memorial Day in the first place. My Labor Days, growing up, where all about actually laboring—especially bottling peaches and pears (which I can’t say is my favorite activity). While I don’t do much of that on Labor Day anymore, we usually find some sort of family household project to get done that day, followed by a last little “hurrah” of the summer. It might just be going out for ice cream, or for one last swim at the community pool. However we spend Labor Day, we spend it together as a family. And that’s really what it’s all about. Family traditions and memories don’t need to be big and expensive, like a trip to a theme park. Kids love anticipating the little things that happen from year to year, like pink heart pancakes and Lucky Charms, family dinners and dancing in the basement. Small and simple family rituals go a long way in creating holiday happiness throughout the year. 4 Easter Traditions to Start This Year! 6 Items To Add To Your Summer Camp Packing List! GET YOUR NEWS THE LAZY WAY! Subscribe to our blog to get access to exclusive product give-aways, family photo shoots, and ways to bring cozy to a whole new level. P.S. We keep what's private, private. Here's our policy. Subscribe to our newsletter to get access to exclusive product give-aways, family photo shoots, and ways to bring cozy to a whole new level.